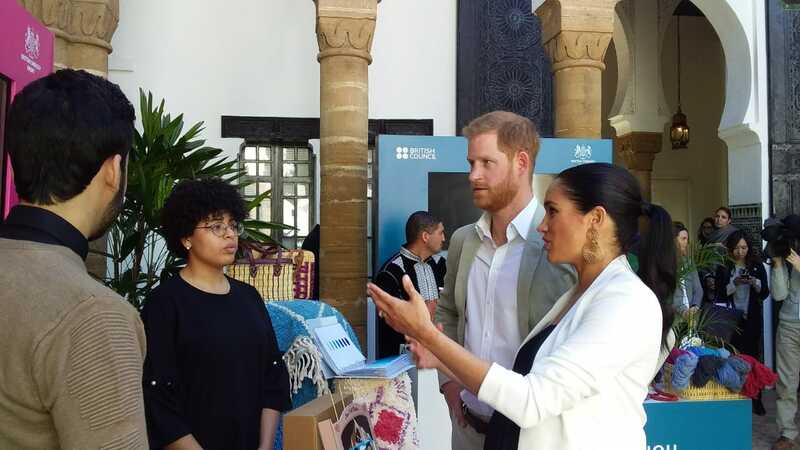 The Duke and Duchess of Sussex met Moroccan social entrepreneurs during a visit to Rabat earlier this year. 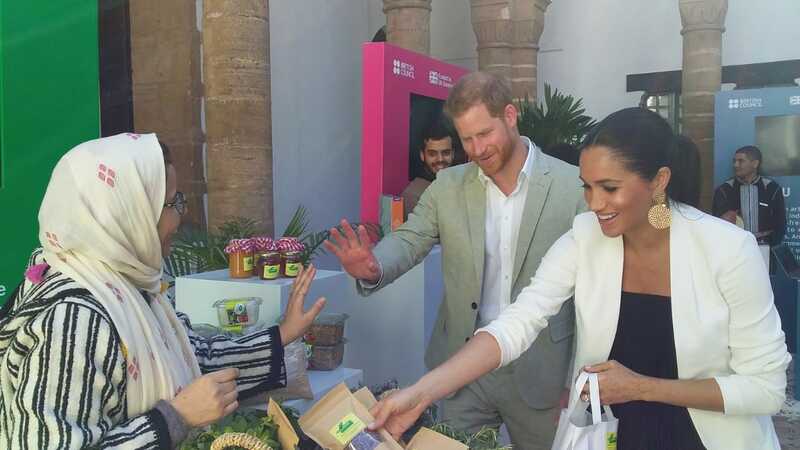 The royal couple visited the Andalusian Gardens on 25 February, the final day of a royal tour of Morocco. 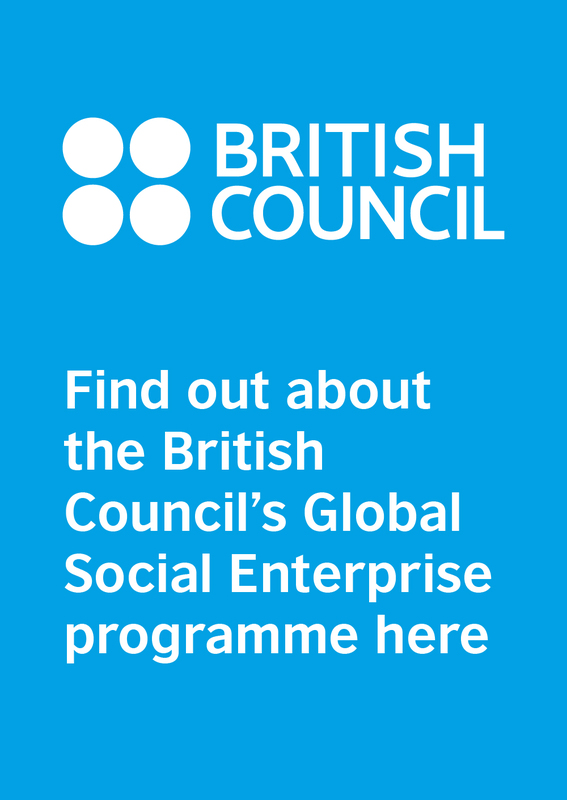 After meeting local artisans, they took a walk around a courtyard exhibition of seven social enterprises which have been supported by the British Council and the UK Embassy in Morocco. 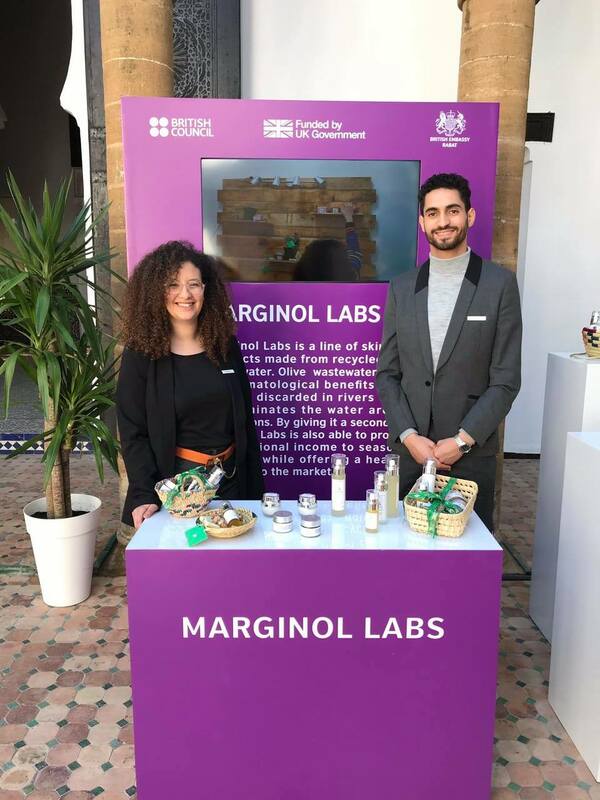 Exhibitors included Marginol Labs (right) which recycles the waste products from the manufacture of olive oil into skin care products, providing extra income to olive farmers. 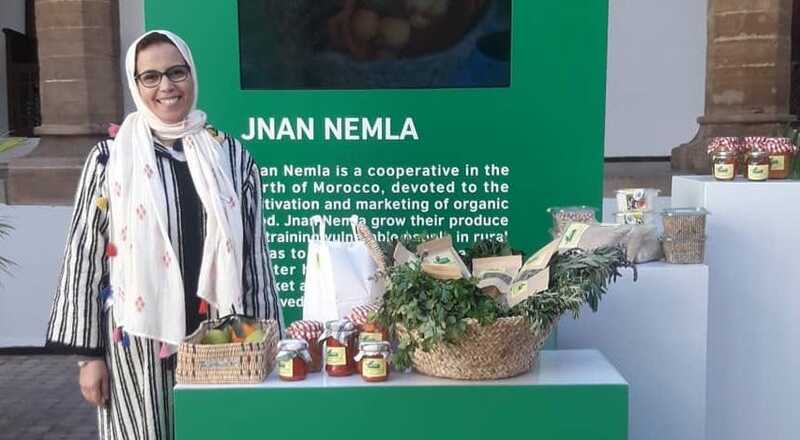 The organic food co-operative Jnan Nemla (below) enables rural people to generate an income from their own land. 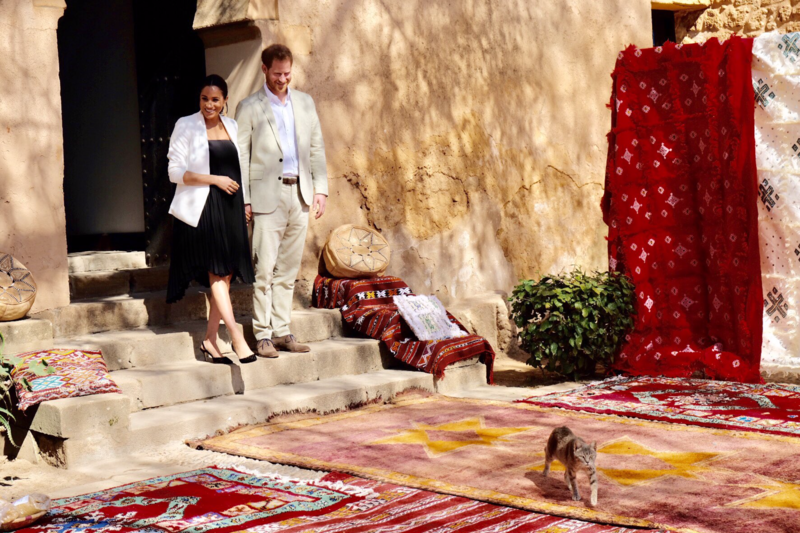 And Nobox Lab (below, pictured with the Duke and Duchess of Sussex) provides educational workshops for children. 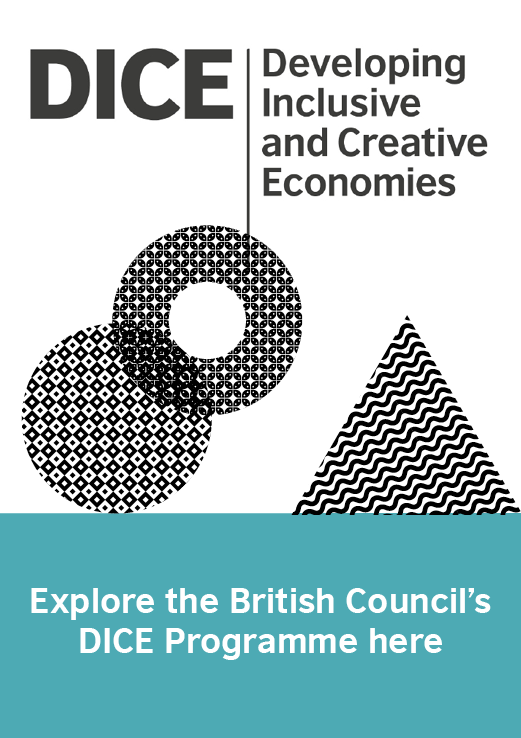 The other exhibitors were Anou, Seaskin, Eko-Geste and Zelij Invent.